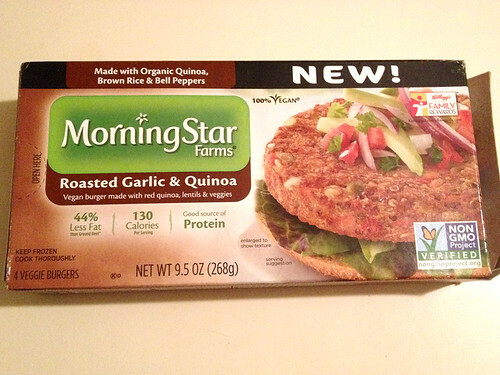 Unlike some of MorningStar’s products, these burgers are vegan! Since they are branded as “new” I wonder if this is a conscious effort on the brand’s part to make products that are accessible to more people. They fried up well in my cast-iron pan with a bit of olive oil. The quinoa and rice seemed to really soak up the oil, so careful how much you fry the patty in if you don’t want it to get too oily! 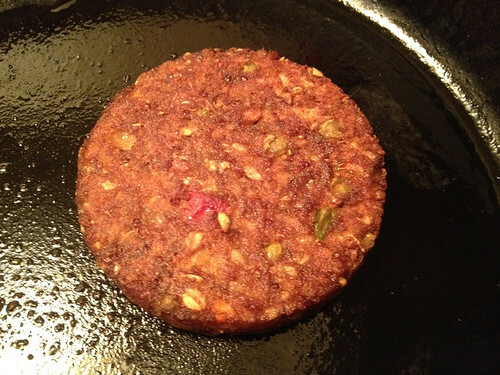 The quinoa and rice made for a rather soft patty, so although it held together just fine in the frying pan, I don’t imagine it would survive as well on a barbecue grill. 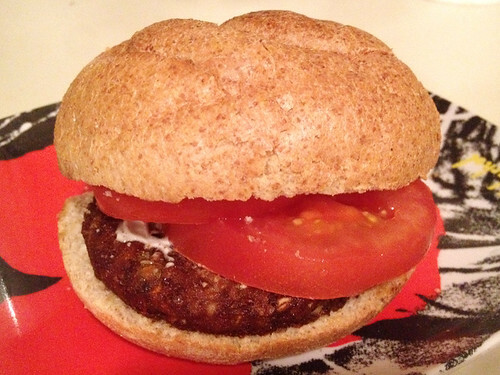 I kept my burger simple, serving it on a whole wheat bun topped with just a couple tomato slices and mayo. I wanted to be able to taste the patty without masking it with too many other flavors. The taste was very pleasant – just a faint hint of garlic, not too strong (when “roasted garlic” is the first flavor listed, I worried it would be overpoweringly garlic-y, but that was not the case at all!). The quinoa and rice were the most prominent ingredients, but the peppers also stood out – as well as a few lentils scattered in the mix, much to my surprise! 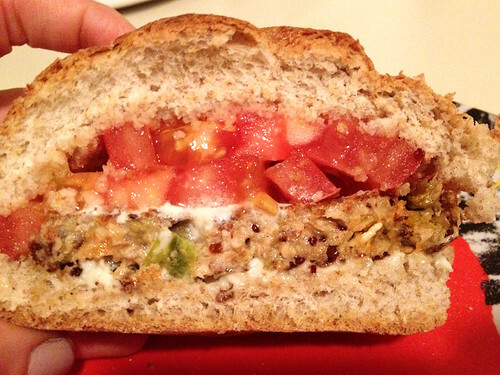 It was very light, not a super filling patty – you’d probably want a heartier one if you were really hungry, but for a light, healthy meal this would be perfect. Overall, this is a nice addition to MorningStar’s line of products. It’s not a hearty, “meaty” burger like you might traditionally imagine, but it’s a tasty patty that would be just as good served on its own as on a bun, and a nice new option to have available in the vegetarian frozen food section.